Tropical Cyclone Bola (March 1988) was one of the most destructive storms ever to strike New Zealand, bringing the heaviest rain in living memory to the North Island of New Zealand. Chapter 1 Inundation & Devastation - Introduction and background information regarding Cyclone Bola throughout New Zealand. Chapter 2 Disintegration & Destruction - The collapse of the Wairoa Bridge and all Service Utilities. Chapter 3 Survival & Tragedy - The conditions and heartbreak in the first week after Cyclone Bola. Chapter 4 Isolation & Transitional - Initial response to Wairoa's total isolation from the outside world. 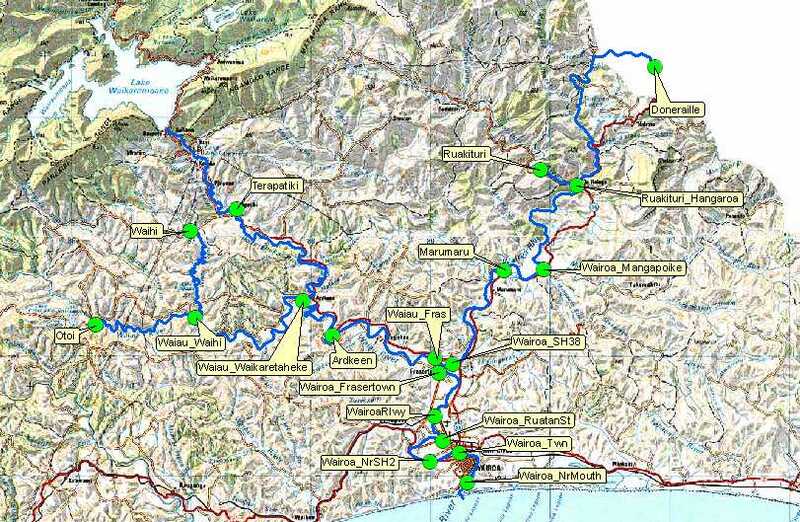 Chapter 5 Provisional & Interim - Alternative transport routes provided to access both Wairoa north and south. Chapter 6 Restoration & Construction - The planning and contruction of the new High Level Wairoa Bridge. Chapter 7 Unification & Celebration - The Opening of the new Wairoa Bridge and the unity of the Wairoa township. Chapter 8 Memories & Recollections - Personal stories and recollections contributed by our Readers. Over the years we have had numerous requests concerning information, photos and what it was like living through Cyclone Bola. We have finally put together a Summary of Events regarding the damage, destruction, disruption and the restoration that occurred in Wairoa, Hawkes Bay that we hope you will find interesting. We also hope when the Wairoa people read this page it will bring back memories they will be willing to share and especially old photos they may have tucked away. We have posted contact links at the bottom of page 7 for anyone who can help build on what we have so far. We would like your stories and memories from during those Bola months and plan to add pages from your contributions. So cast your mind back and tell us how Cyclone Bola affected you in March 1988. These pages only cover the Wairoa area in brief and is as factual as the people contributing can remember. If any information is incorrect please contact us with corrections. All input is welcome. All the Cyclone Bola Photos below were taken in Wairoa Northern Hawkes Bay by local Wairoa Photographers. The Black and White shot half way down was taken from a local district newspaper. All photos are the property of Wairoa.net and are not for distribution. Finally thank you to all those that have allowed us the use of your photographs. Photos illustrate far more detail than words ever could. 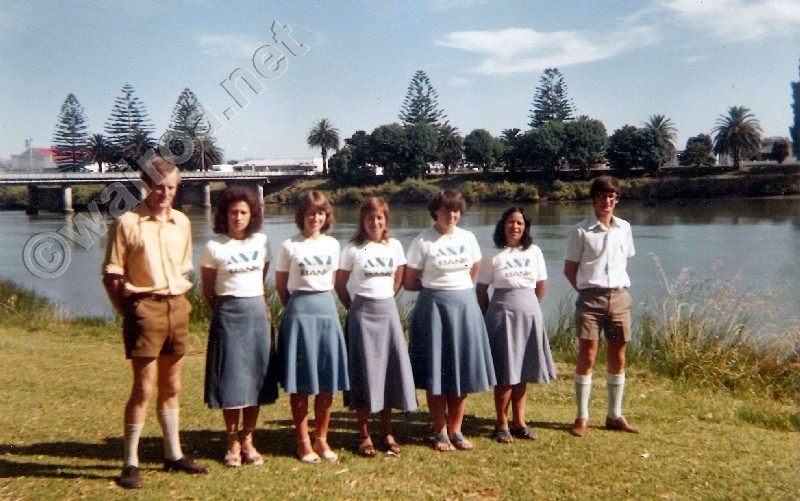 The above ↑ was taken at a Motorcycle Rally pre 1988 and the below ↓ is the Staff of the ANZ Bank taken in either 1978 or 1979. The above shows the Southern end of the old Wairoa Bridge and the below the Northern end of the bridge. 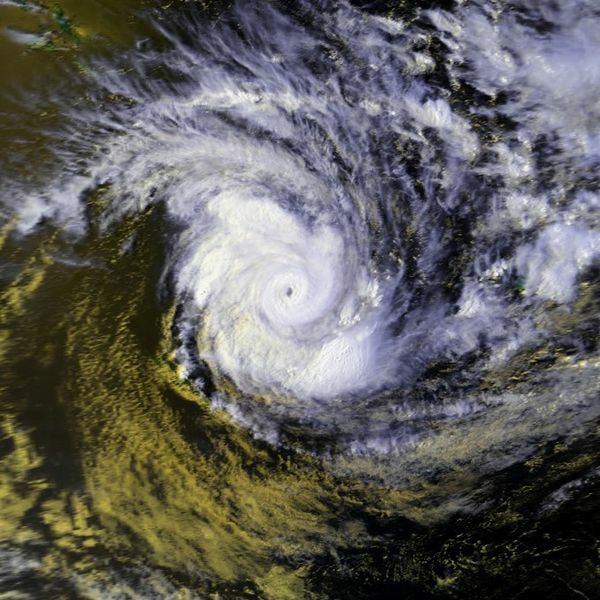 Tropical Cyclone Bola was one of the costliest cyclones in the history of New Zealand, causing severe damage as an extra tropical cyclone when it passed near the country in March 1988. Two deaths were attributed to Cyclone Bola in Gisborne and 4 deaths indirectly in Wairoa with 1 subsequent death. 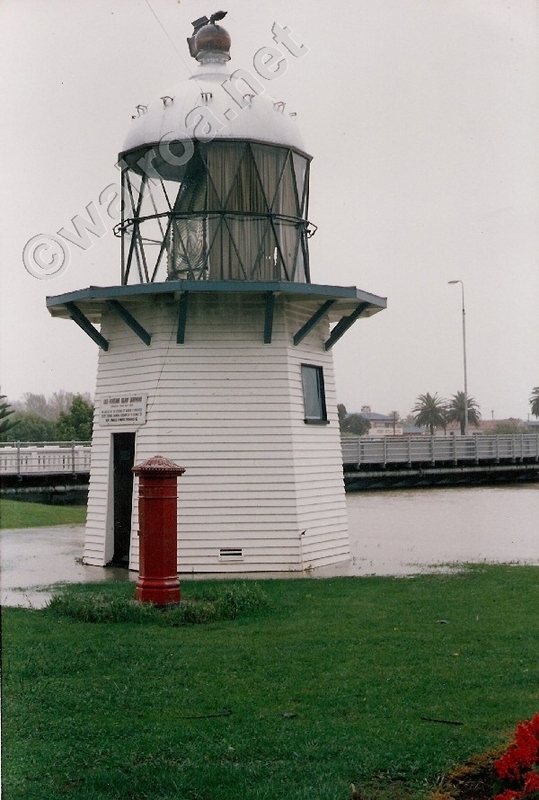 The heaviest rainfall totals were recorded in the Gisborne and northern Hawkes Bay regions. Te Puia Springs weather station recorded the highest of 419 mm (16.5 in) in a 24 hour period on the 8th of March. The maximum rainfall total over those days attributed to the storm was 917 mm, reported at a station near Tologa Bay. Those daily rain totals are almost unbelievable and certainly explain why these regions suffered such extreme flooding. Heavy rainfall totals of up to and over 300 mm were also observed in the regions of Auckland and Northland. The cyclone was the largest to be recorded in 93 years of rainfall records. A comprehensive diagnostic study of the extra tropical precipitation can be read here: Tropical Cyclone Bola written by Mark R. Sinclair. The downpours triggered innumerable landslides on the region's hillside pastures. Some farmers lost 30% of their grazing area, with landslide scars taking decades to heal. Thick sediment from the ebbing floods smothered pastures, orchards, and crops ready for harvest. It also had a large and lasting effect on the rivers of the area when it deposited a large amount of sediment, as recorded in the sedimentary record of Lake Tutira, south of Wairoa. One 11,000-hectare catchment deposited a million tonnes of sediment into the Waipaoa River. As the waters flow down from the higher catchment area, as shown in the map below, the speed of the current picks up momentum sweeping everything within its path along the swollen rivers into the basin funnel - The Wairoa River. 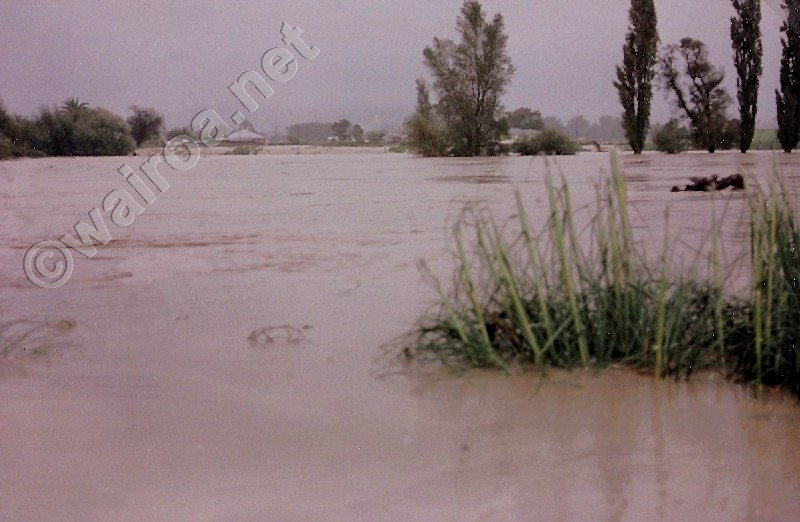 Cyclone Bola passed through the Wairoa township, peaking on the 6th and the 7th of March 1988, severely flooding many areas, lifting roofs off buildings and uprooting many trees. Both the main State Highway and the rail lines north and south were closed in several places due to slips and water flooding. 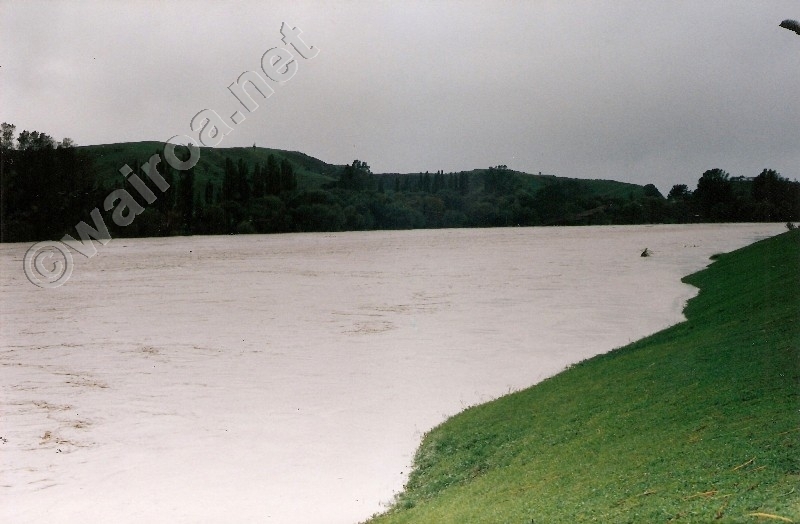 The Wairoa River could not cope with the deluge of water flowing down from the catchment area and the water flowed over her banks across fields, roads, rail lines and through buildings and homes. Evacuation of many people was done by horse and helicopters. 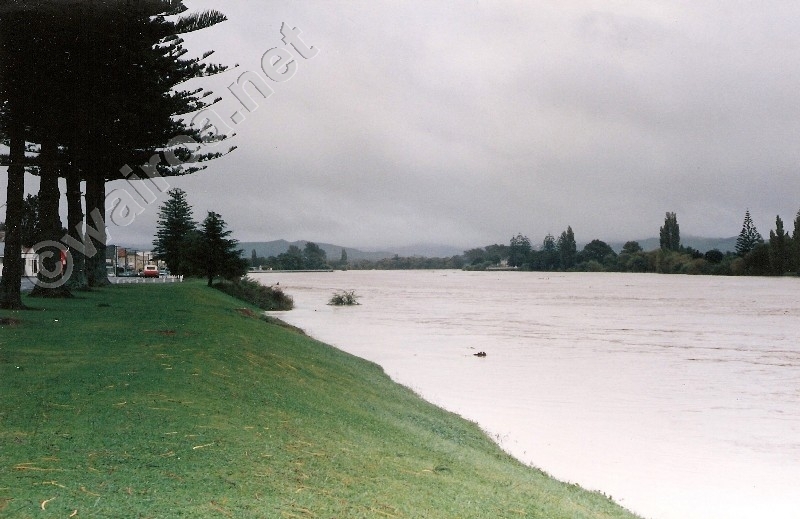 In the Wairoa Township the water level rose up as high as the curbing along the side of Marine Parade. The cyclone first affected Fiji, where it produced gale force winds and strong waves. In Vanuatu, Bola dropped heavy rainfall, which destroyed two bridges and caused $5 million in damage. Bola caused severe damage to the North Island of New Zealand, where heavy rainfall peaked at 917 mm (36.1 in) in Gisborne Region in 3 days. Damage was estimated to have totaled over $82 million. Three people were killed near Gisborne and hundreds were evacuated due to the flooding from the heavy rain. Many living along the river front were also evacuated when the swollen Wairoa river threatened Wairoa properties. Cyclone Bola created some of the heaviest rainfall totals for a single storm in the history of New Zealand, with some locations receiving more than half of their annual rainfall totals from the storm. The torrential rain fell continuously for three days with vengeance. The Photo above was taken on the 9th of March looking across paddocks towards Waihere Road. The forcus of this article as stated above is the Wairoa Township. An area that did not break any precipitation records and yet suffered by far during and after than anywhere else in New Zealand, as regard to day to day living. It took 21 months for life to return to as it had been. A Hictoric Summary covering the rest of New Zealand during Cyclone Bola may be found at the NZ Weather Forum. Our thanks to Rupert Wood for such a comprehensive report. At 3.20am on Tuesday the 8th of March a Civil Emergency was declared in Wairoa and the fire siren sounded across the township. Heavier rain had started falling on Sunday night and had continued throughout Monday. The countryside already sodden started flooding with no where for the water to go. In the early hours of Tuesday morning warnings were issued that the Wairoa Bridge was under threat. 1. Wikipedia, The Free Encyclopedia. 2. Te Ara, The Encyclopedia of New Zealand. 4. The New Zealand Herald. 5. Television New Zealand Archives.